Born in Binghamton, New York, Juliette and her family soon moved to Massachusetts where poor television reception fueled her love of books. Haunting the local library for favorites like The Boxcar Children and Julie of the Wolves, she nurtured a happily nerdish interior life. Juliette graduated from Boston College with a double major in human development and theology, which qualified her for thinking deeply about the state of humanity, but not for much else. She joined the Jesuit Volunteer Corps and worked at an emergency shelter in Seattle, Washington, started a day care for homeless families, and volunteered at children’s ward in a Guatemalan hospital for the poor. Returning to Boston, she taught at a school for autistic children. 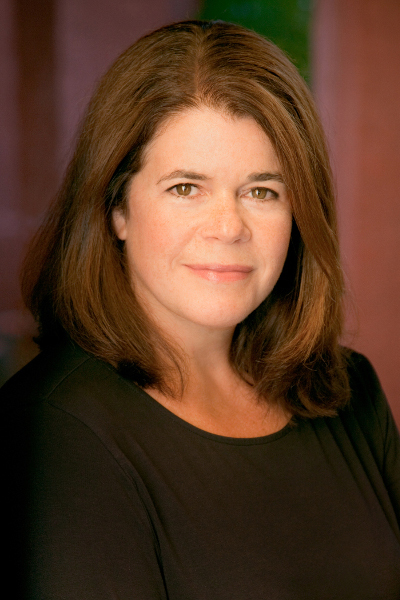 After receiving a degree in public policy from the Kennedy School of Government at Harvard University, she worked at the state child abuse prevention agency and ran a parenting education program. While all of these jobs gave her even more fodder for ruminating on the state of humanity, none of them paid very well, and she waitressed a lot to shore up her often laughable income. Along the way, she married Tom Fay, a former Jesuit Volunteer who continued to be smart, kind, funny, and dashingly handsome long after his volunteer days were over, and they had four children. Juliette assumed a return to government work lay in her future; however, fate intervened when she read a really bad book. It made her wonder if she couldn’t do a little better—if she could just commit to paper the stories that ran in her head like movie marathons. She began tapping away at her computer while the younger kids napped, between the fights over who pinched who first, and at night after the older kids had wrestled their homework to the ground. Check out her website here, Twitter and Facebook. In stores on Tuesday, April 16 from Galley. 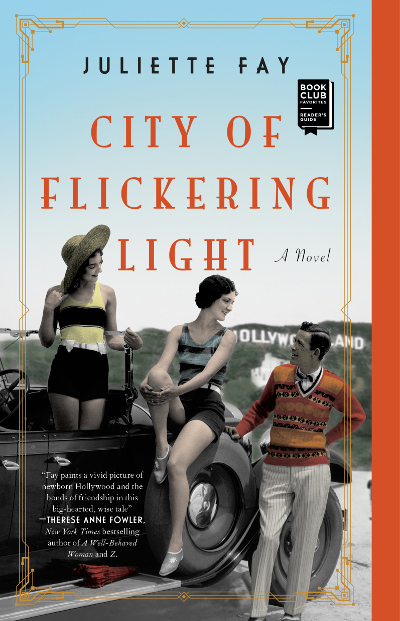 At first glance, Hollywood in the 1920s is like no other place on earth—iridescent, scandalous, and utterly exhilarating—and the three friends yearn for a life they could only have dreamed of before. But despite the glamour and seduction of Tinseltown, success doesn’t come easy, and nothing can prepare Irene, Millie, and Henry for the poverty, temptation, and heartbreak that lie ahead. With their ambitions challenged by both the men above them and the prejudice surrounding them, their friendship is the only constant through desperate times, as each struggles to find their true calling in an uncertain world. What begins as a quest for fame and fortune soon becomes a collective search for love, acceptance, and fulfillment as they navigate the backlots and stage sets where the illusions of the silver screen are brought to life.